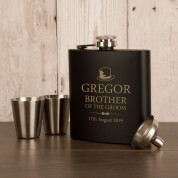 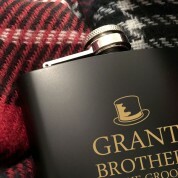 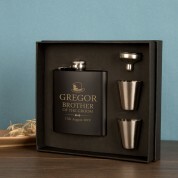 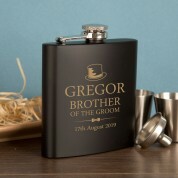 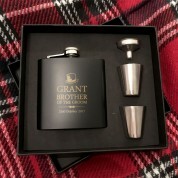 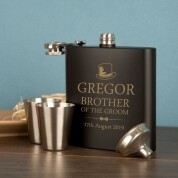 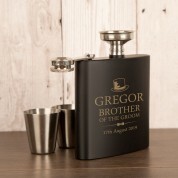 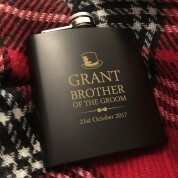 Thank the Groom’s brother for being their for him on his special day with this chic and stylish personalised hip flask. 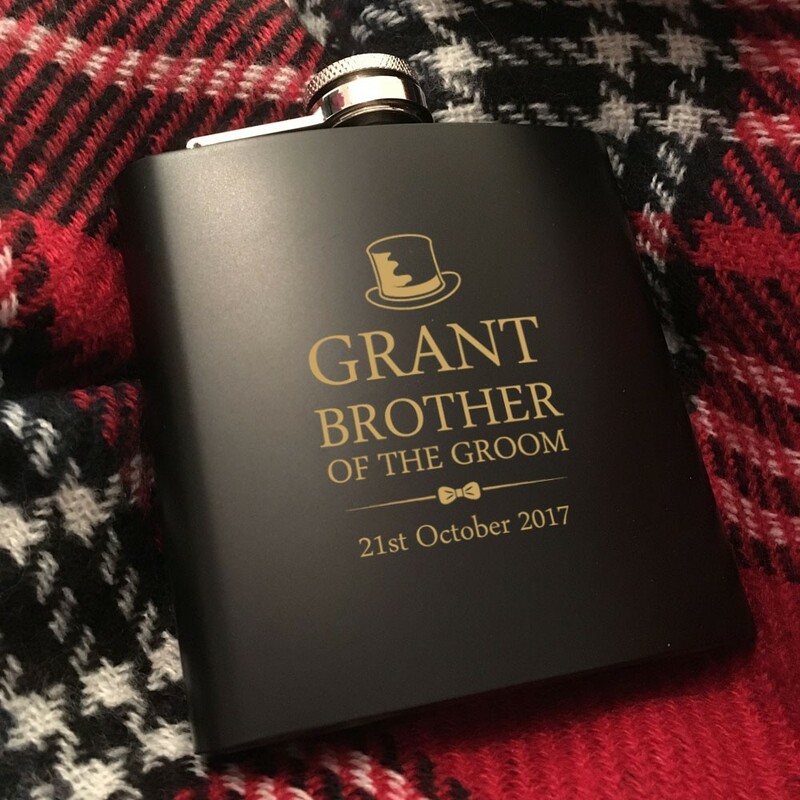 Laser engraved onto a matte black anodised hip flask, the design features a top hat and bow tie alongside the first name and date of the special occasion. 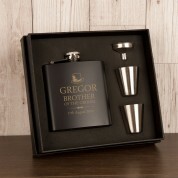 This wonderful gift comes presented in a black presentation box with 2 measure cups and an easy fill funnel.